White is a great color inspiration for a kitchen design. We are seeing white used in all areas of the kitchen, but the latest trend movement is in the direction of white countertops. Whether it is a contemporary or traditional kitchen, white countertops seem to be on the front of every home design magazine. And for good reason! White has the ability to make the usually busy kitchen feel light, airy and significantly larger. When discussing white countertops, the coveted Carrara Marble with its elegant grey veining is the first to come to mind. While there is no disputing the timeless look of marble, this highly prized stone comes with a substantial amount of maintenance. The porous quality of marble makes it prone to staining and requires frequent sealing. For the everyday cook, granite and quartz are more suitable options. White granite is wildly popular because it offers the same grace of natural stone as marble, but with slightly less maintenance. Granite is far less porous than marble and only requires sealing every 15-20 years. It is also more stain, heat and scratch resistant. Manmade quartz stone is the most durable option for white countertops. 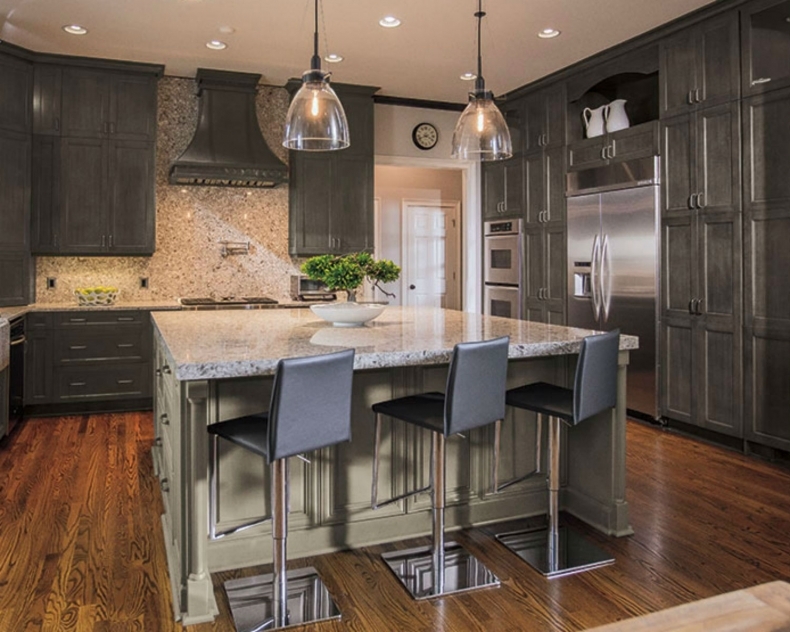 These nonporous, heat and scratch resistant countertops require no maintenance. With countless pattern options, white quartz is a great fit for any kitchen style. Come in to our Little Rock showroom on Interstate 30 to work with one of our experienced kitchen designers to see all of the white stone options available to you for your next kitchen countertop! We are so excited about the new line of glass linear tiles we just got in the store! Great mixtures of pinstripes, natural stones, frosted glass and stainless steel. 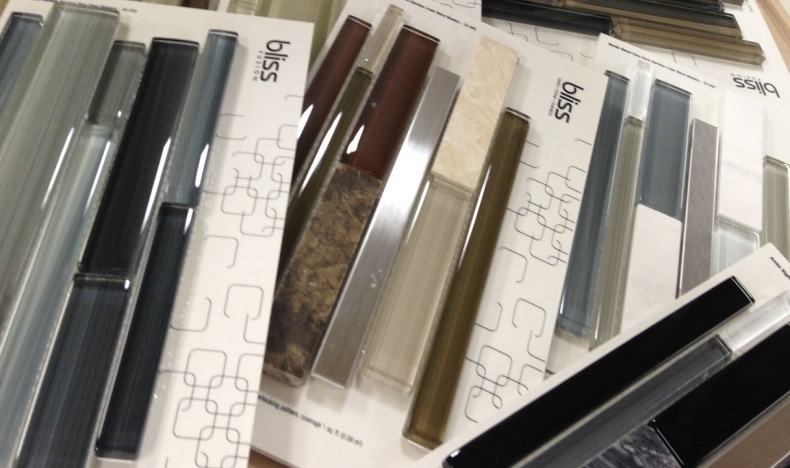 Come by our 6,500 square foot showroom in Little Rock to check out the new Bliss line of glass linear tile. We are located off of the McDaniels exit on I-30.